Looking for an elegant but easy appetizer recipe you can bake to melty perfection? 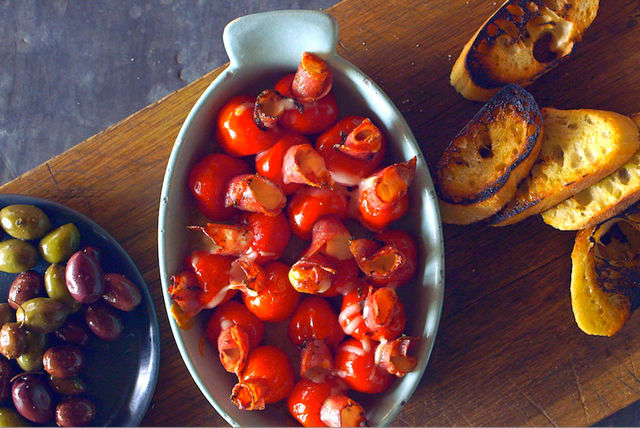 Look no further than our Cheesy Salami Stuffed Cherry Peppers recipe. Top salami with cheese; roll up. Sprinkle evenly with 2 Tbsp. chopped fresh basil just before serving. Packed in jars, sweet cherry peppers are most commonly found in the condiment section of your grocery store.